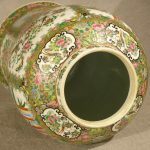 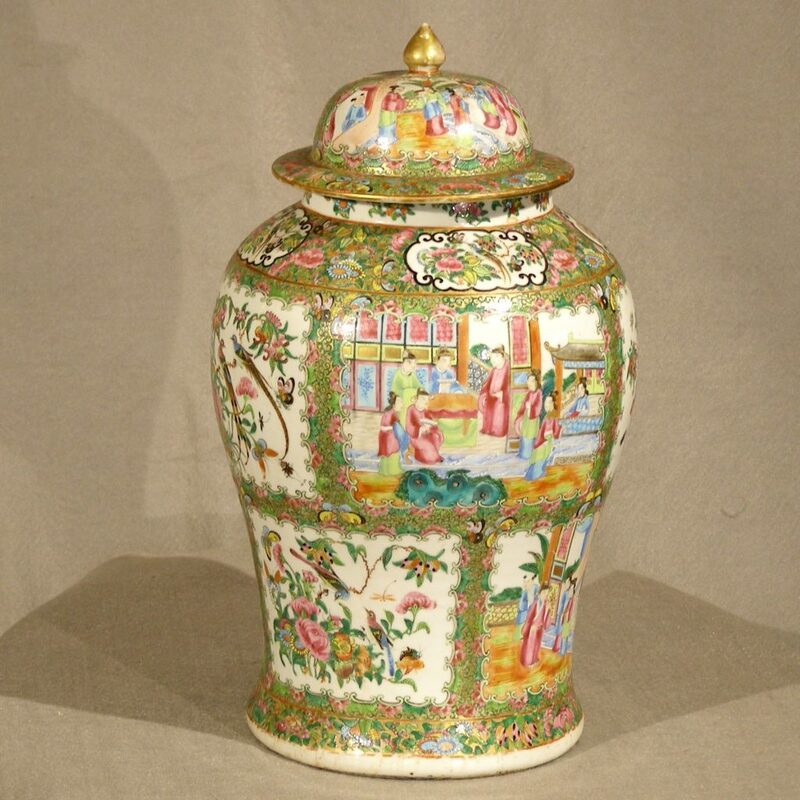 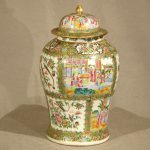 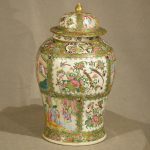 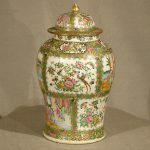 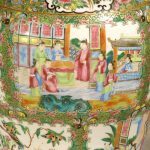 A large baluster form porcelain jar with the original cover made in China around the middle of the 19th Century. 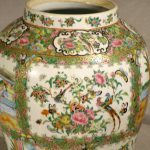 The main body has several alternating panels of flowers, insects and birds with Mandarin subject courtyard scenes. 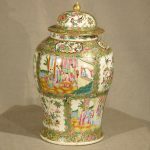 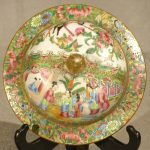 The enamel colors are strong and applied in fine detail. 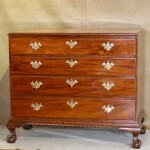 Overall excellent condition with very little rubbing of the gold. 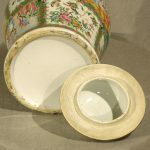 The lid does have two large rim chips that were professionally restored with the original pieces and a few small restored chips in the same area. 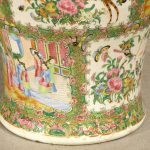 The repairs are only noticeable upon close inspection.